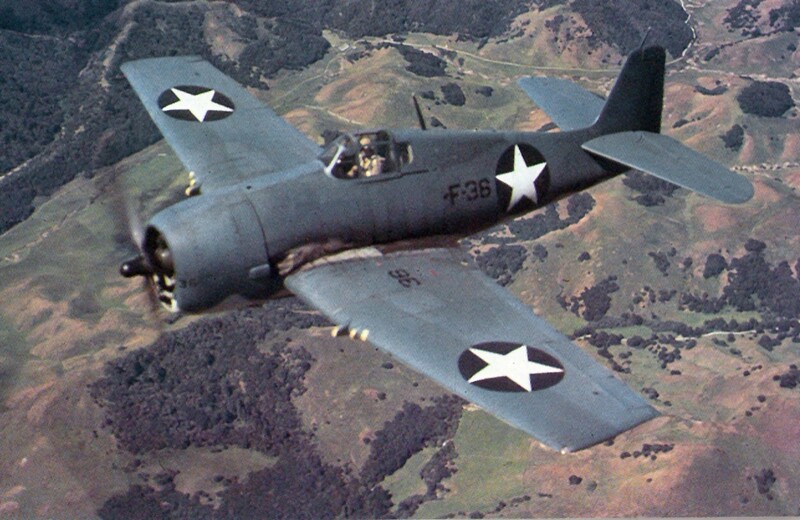 The Grumman F6F Hellcat was a carrier-based fighter aircraft conceived to replace the earlier F4F Wildcat in United States Navy (USN) service. 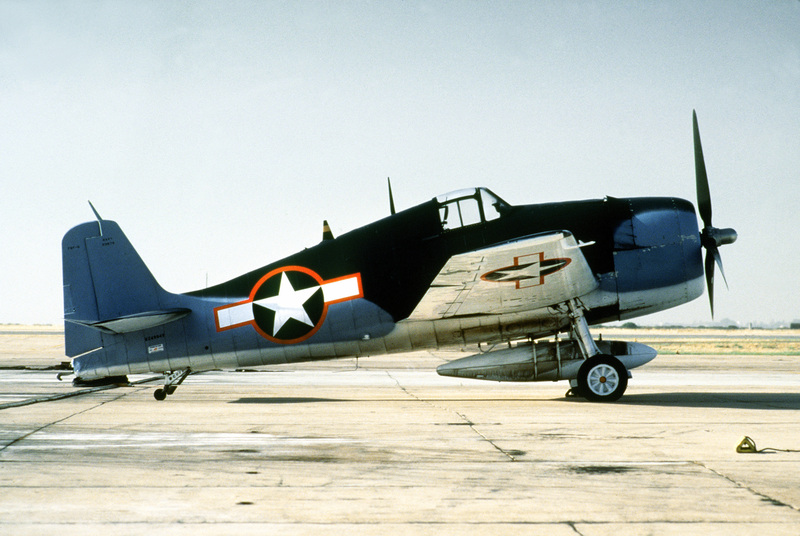 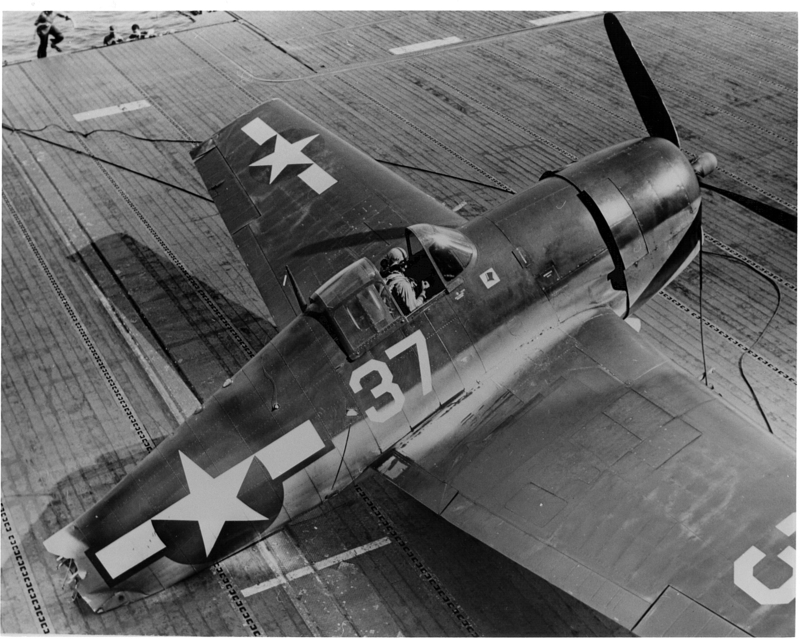 The Hellcat was an former rival of the faster Vought F4U Corsair for use as a carrier based fighter. 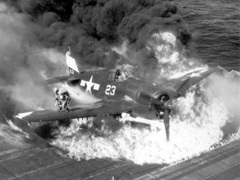 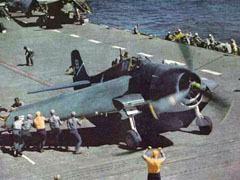 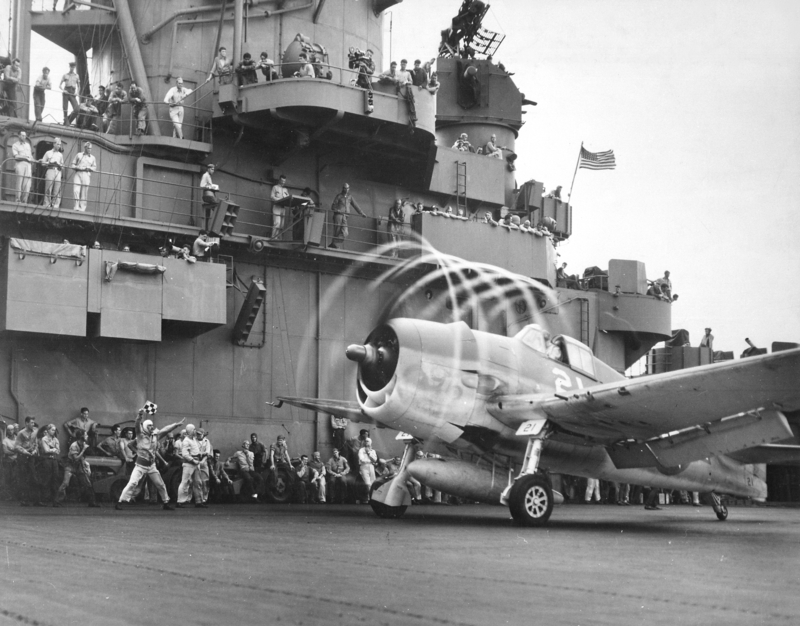 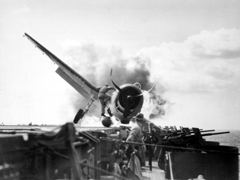 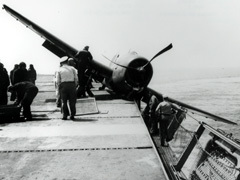 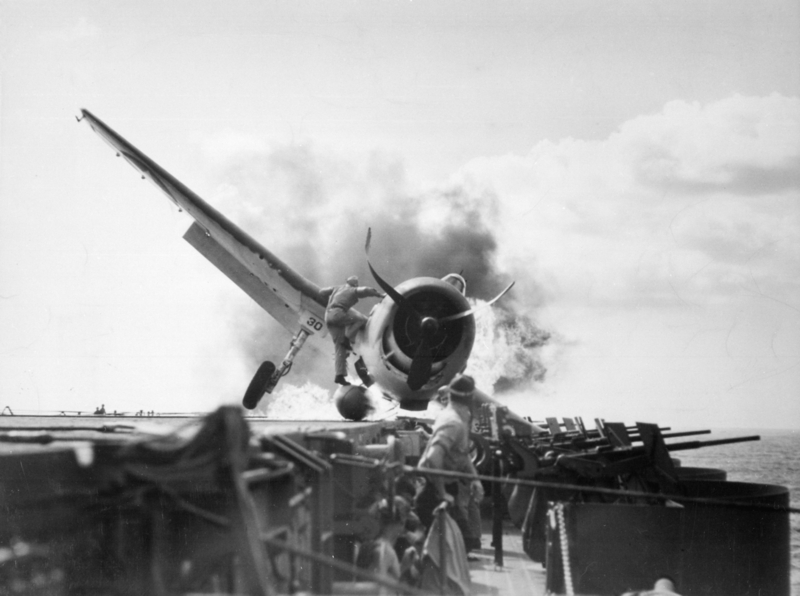 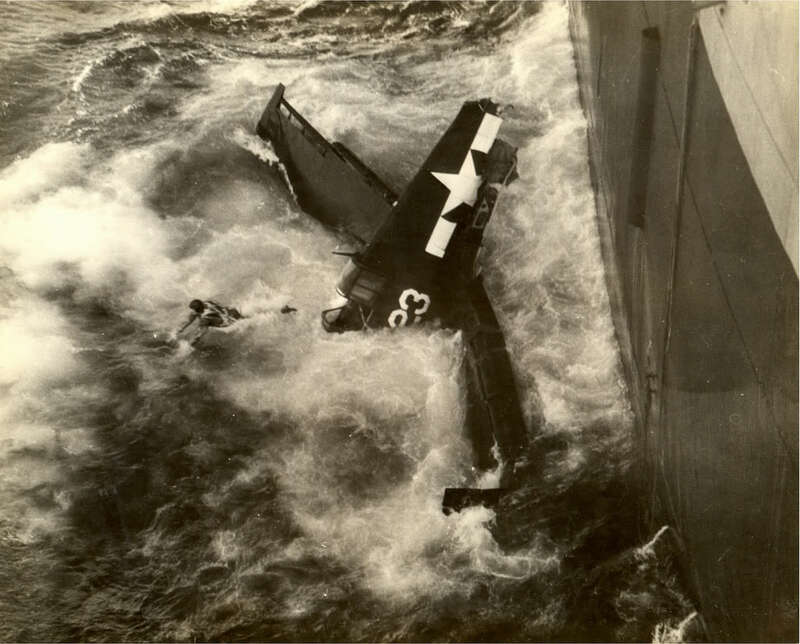 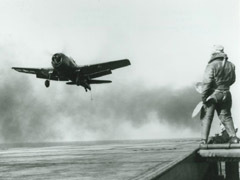 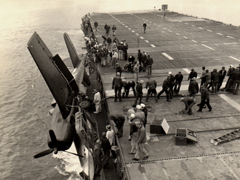 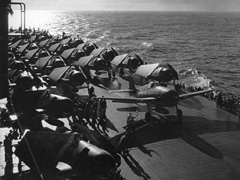 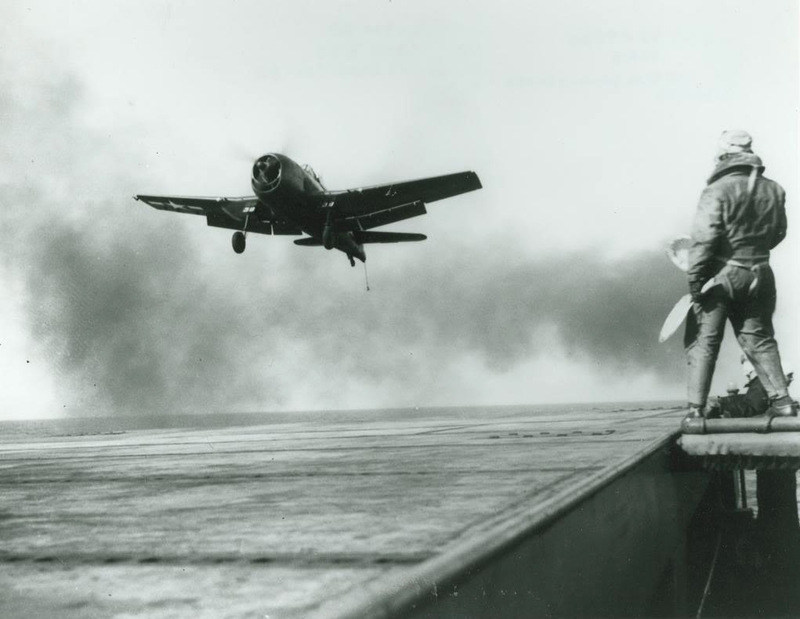 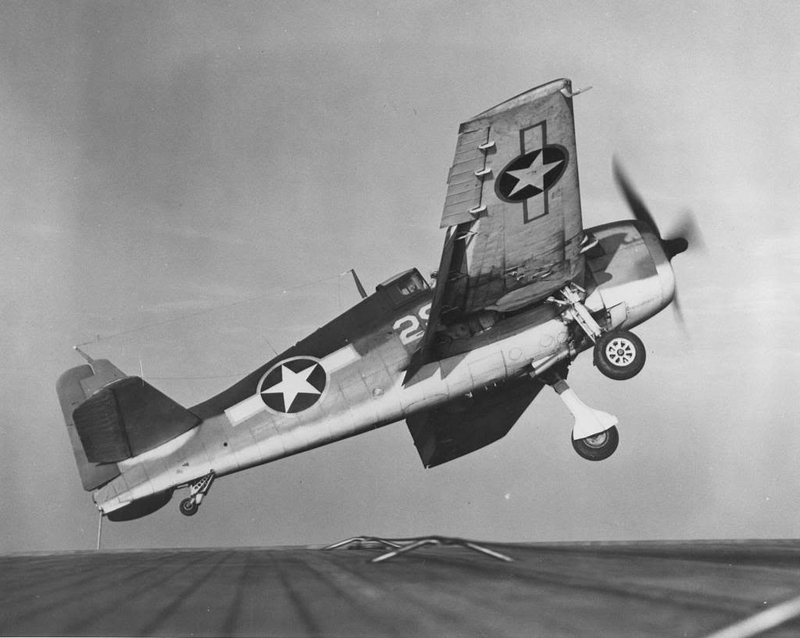 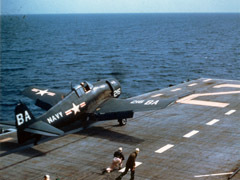 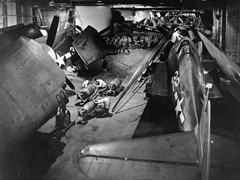 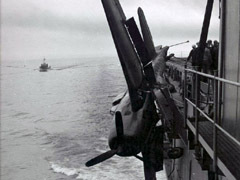 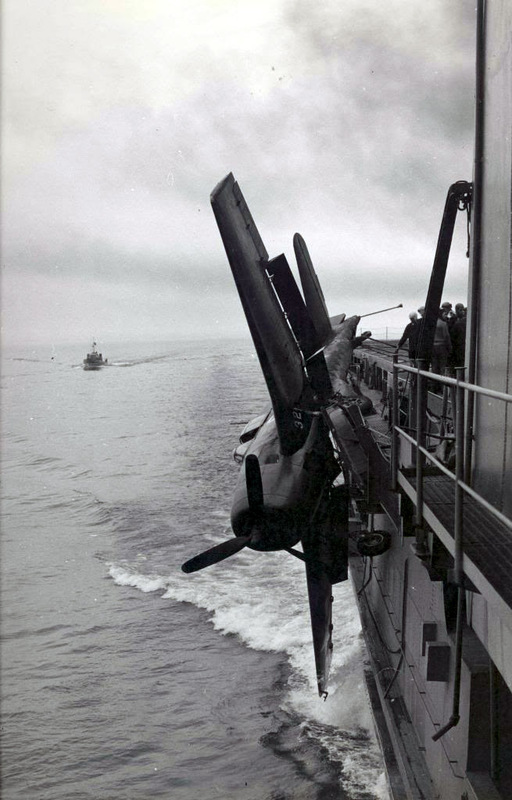 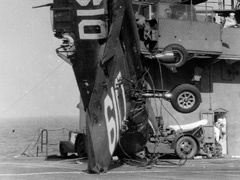 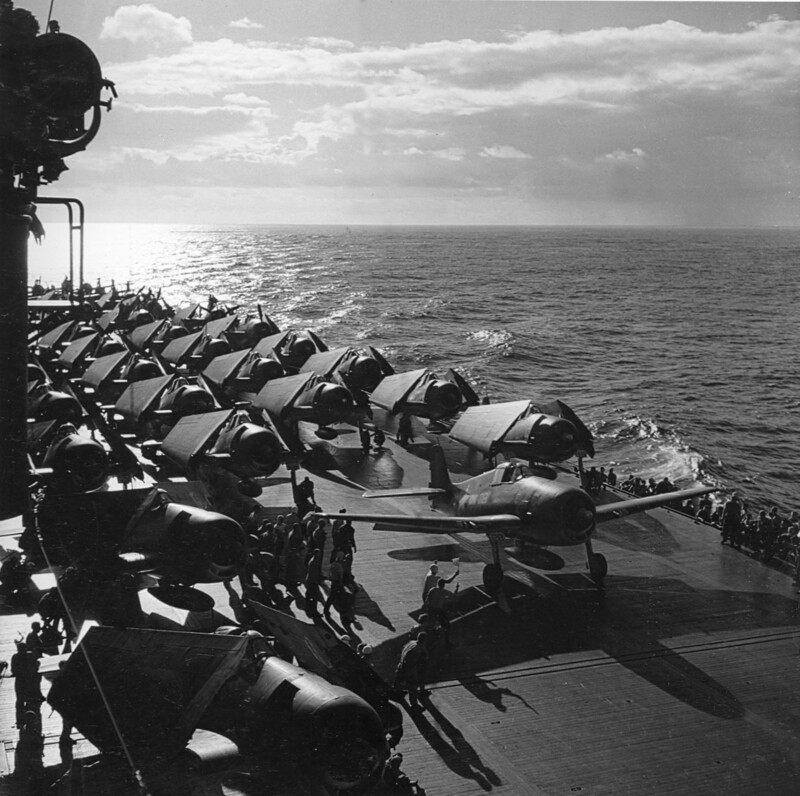 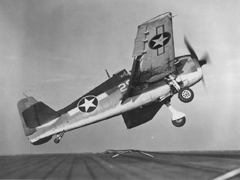 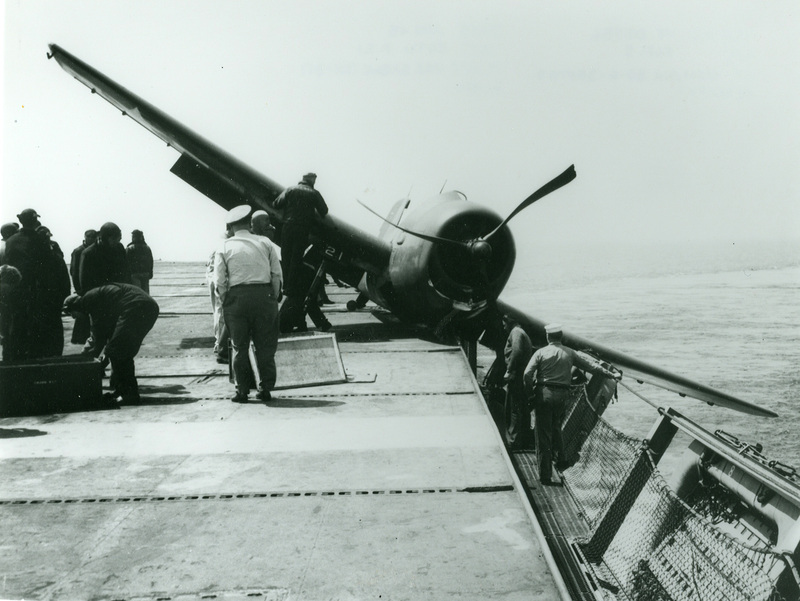 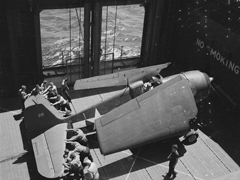 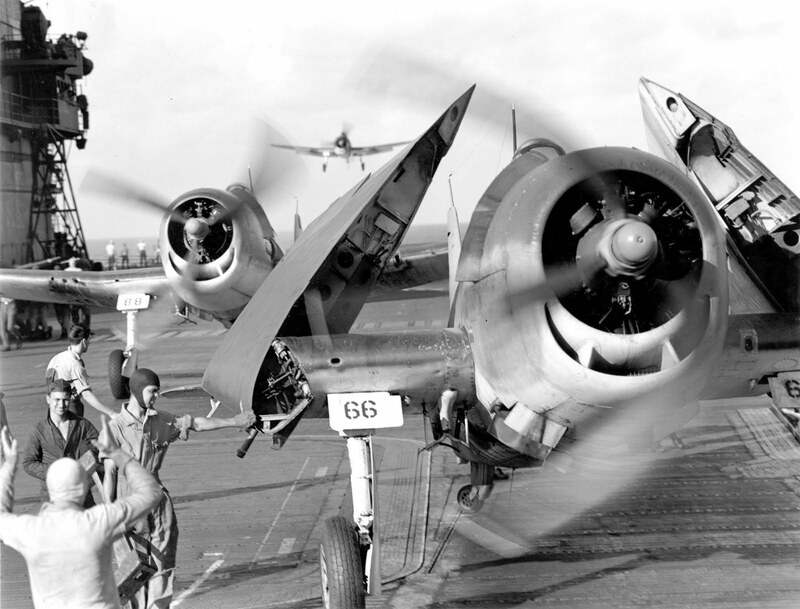 However, the Corsair had significant issues with carrier landing that the Hellcat did not, allowing the Hellcat to steal a march as the Navy's dominant fighter in the second part of World War II, a position the Hellcat did not relinquish. 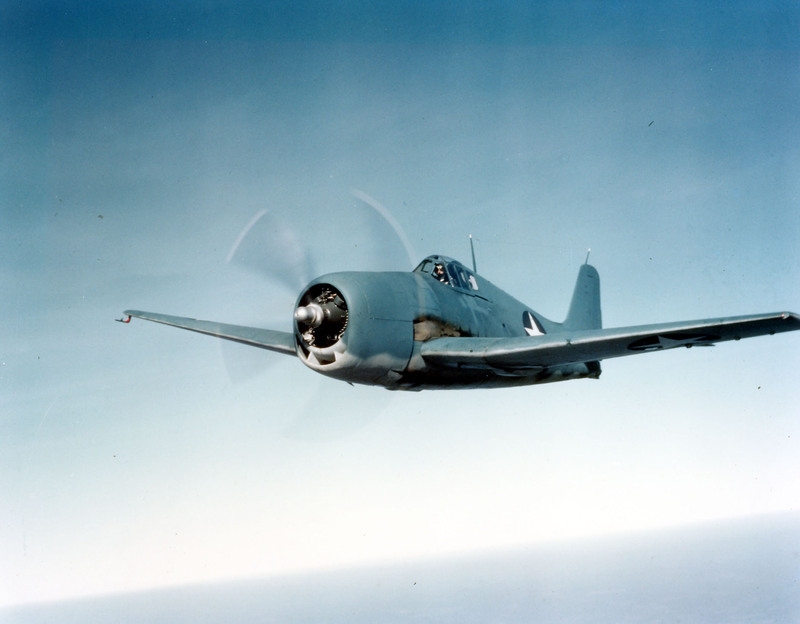 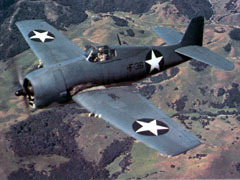 The Corsair instead was primarily deployed to great effect in land-based use by the U.S. Marine Corps. 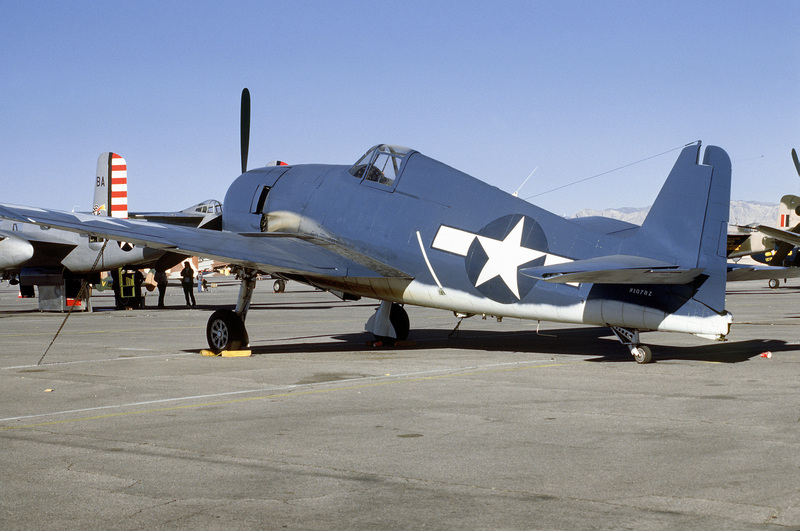 Although the F6F resembled the Wildcat, it was a completely new design, powered by a 2,000 hp Pratt & Whitney R-2800, the same powerplant used for both the Corsair and the United States Army Air Force's (USAAF) Republic P-47 Thunderbolt fighters. 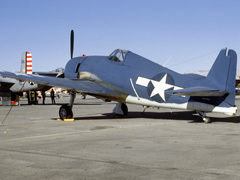 Some military observers tagged the Hellcat as the "Wildcat's big brother". 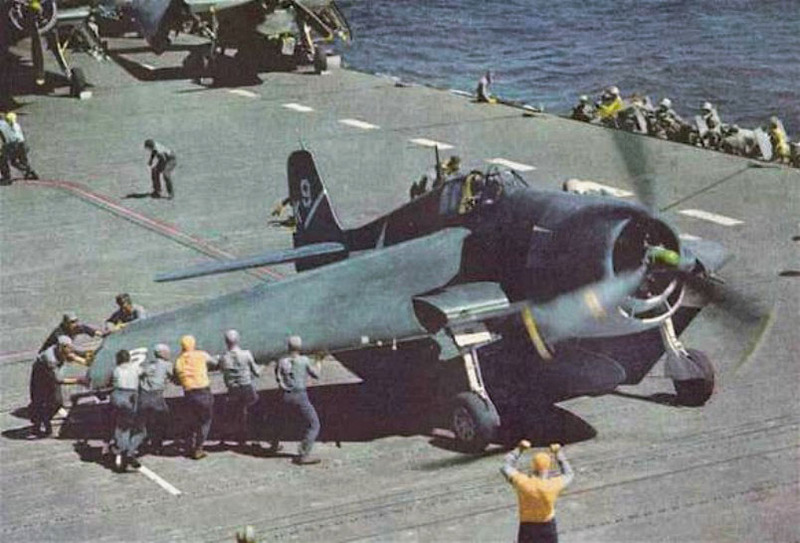 The F6F was best known for its role as a rugged, well-designed carrier fighter which was able, after its combat debut in early 1943, to counter the Mitsubishi A6M Zero and help secure air superiority over the Pacific Theater. 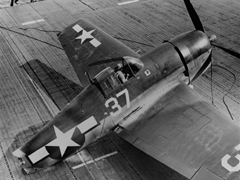 Such was the quality of the basic simple, straightforward design, that the Hellcat was the least modified fighter of the war, with a total of 12,200 being built in just over two years. 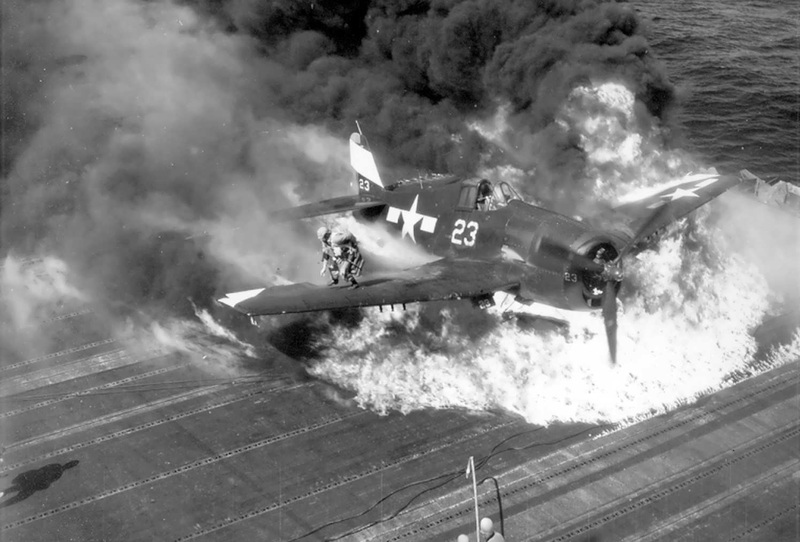 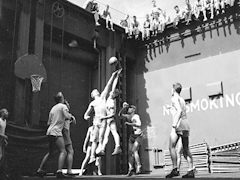 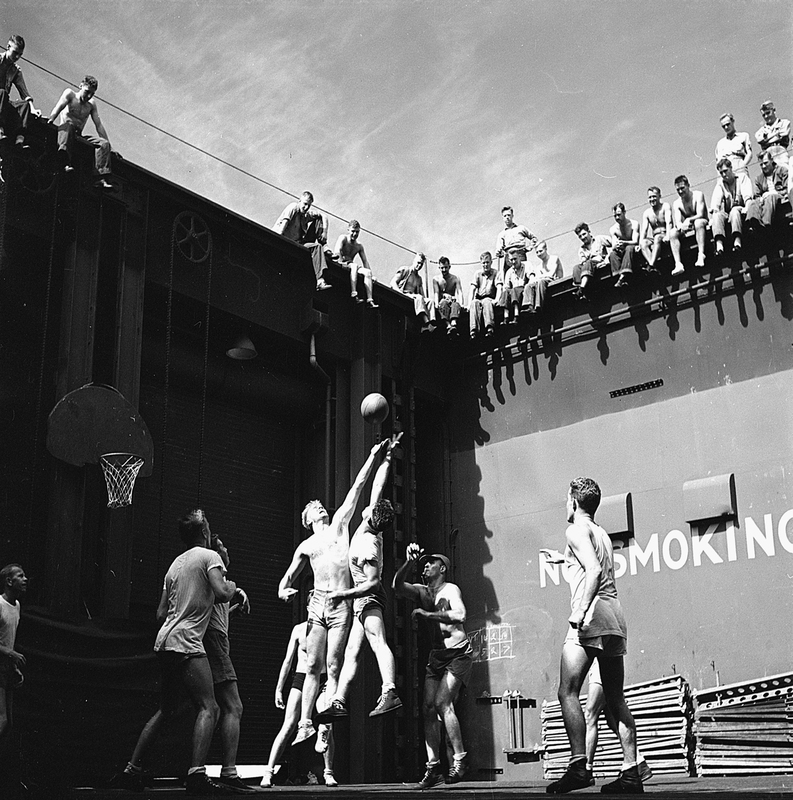 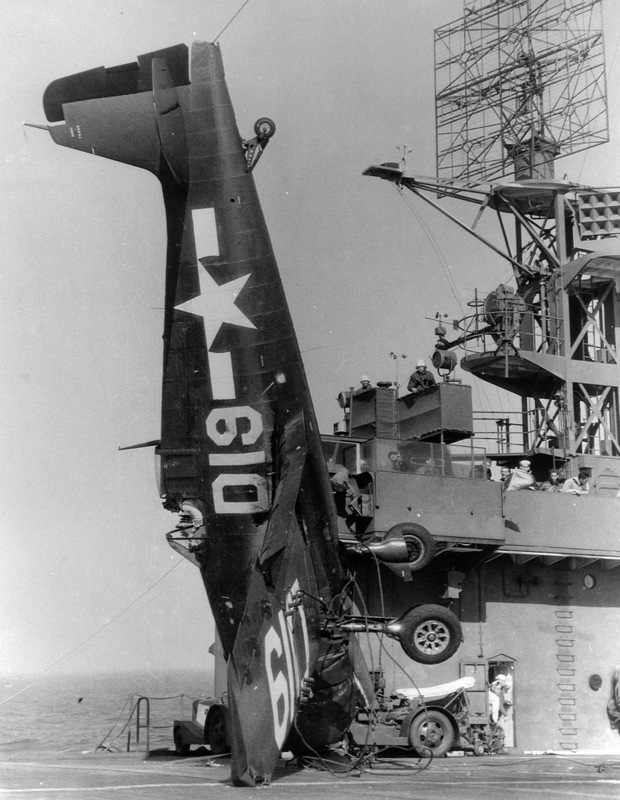 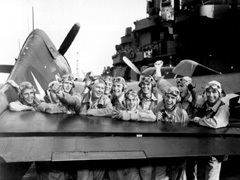 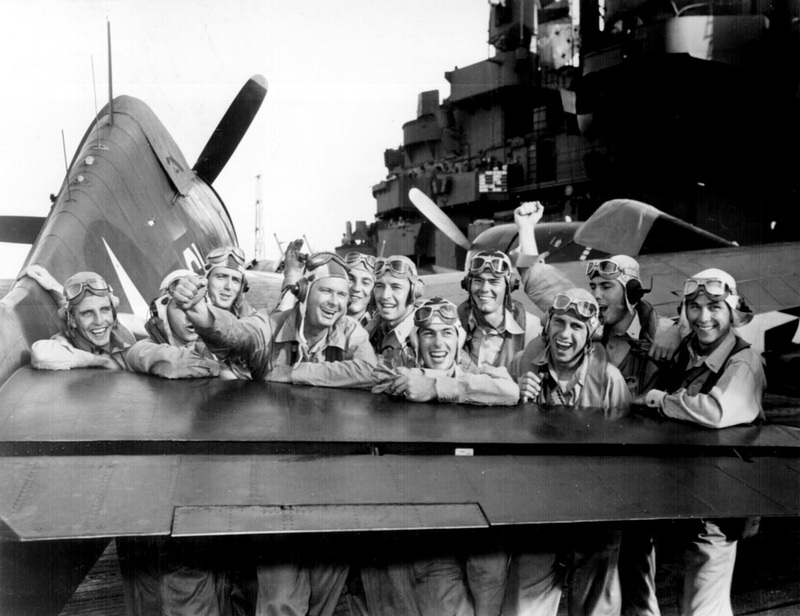 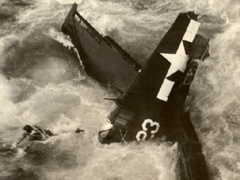 Hellcats were credited with destroying 5,223 aircraft while in service with the U.S. Navy, U.S. Marine Corps and the Royal Navy's Fleet Air Arm This was more than any other Allied naval aircraft. 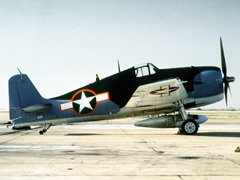 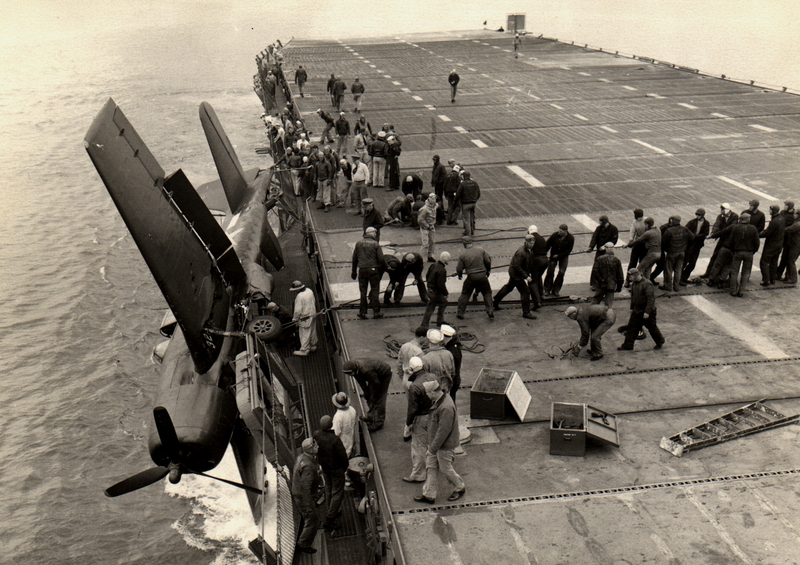 Postwar, the Hellcat was phased out of frontline service, but remained in service as late as 1954 as a night fighter. 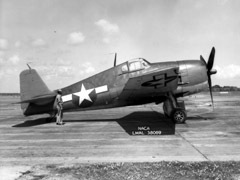 The last Hellcat rolled out in November 1945, the total production being 12,275, of which 11,000 had been built in just two years. 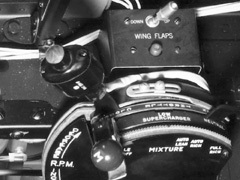 This high production rate was credited to the sound original design, which required little modification once production was underway. 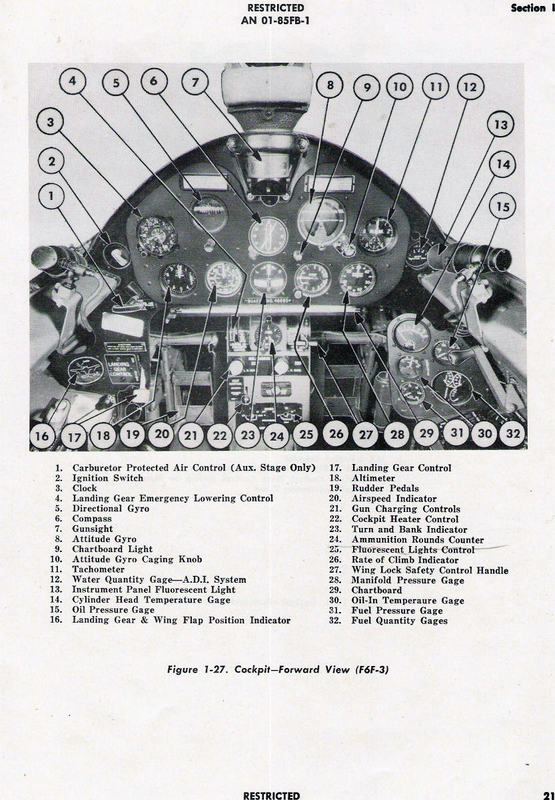 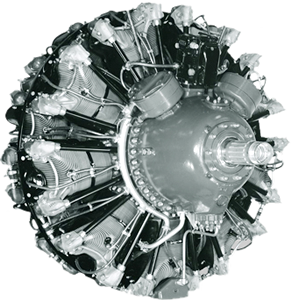 Power output: 2,000 hp (1,491 kW) at 2,700 rpm for takeoff, up to 2,250 hp (1,677 kW) "WEP"
The radial engine was a twin-row, 2,804 cubic inch, 18-cylinder with supercharger. 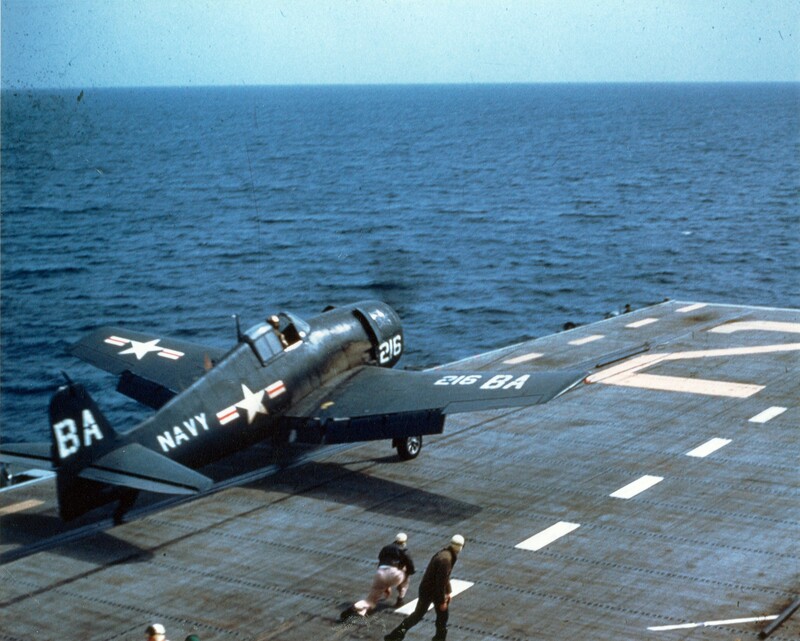 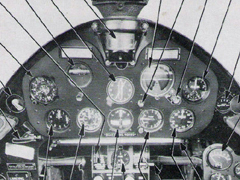 It weighed 2,360 pounds and delivered 2,000 hp at 2,700 rpm for takeoff, and as much as 2,250 hp for combat power. 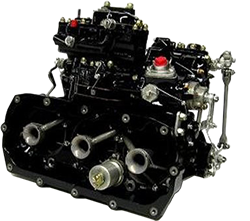 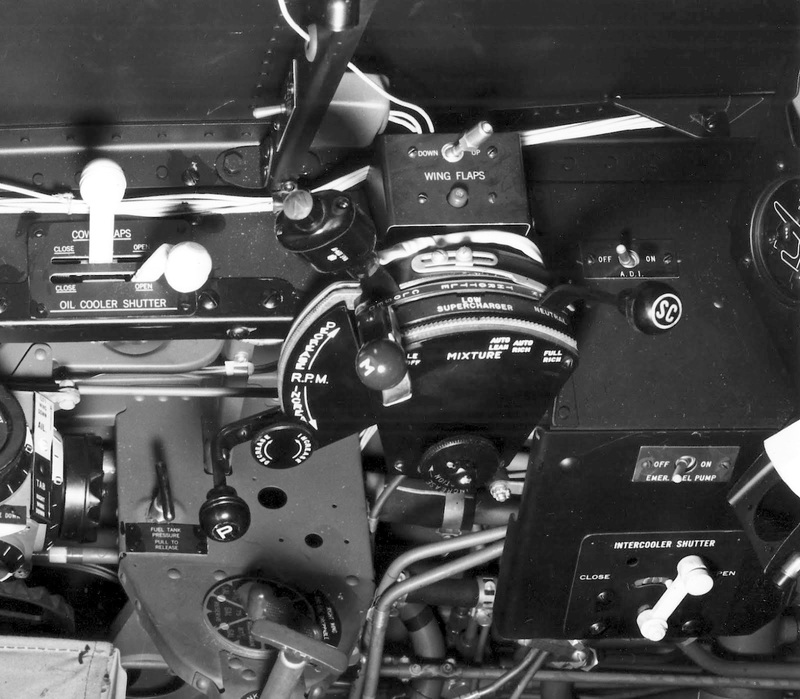 Designed with improved water injection (designated "-W"), it generated an additional 250 hp for about 15 minutes of War Emergency Power, or combat power. 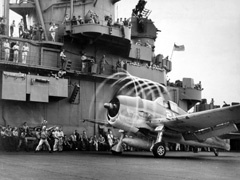 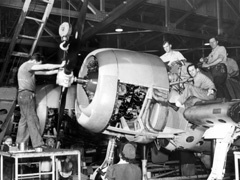 It became the backbone of the American fighter fleet during World War II, powering the Grumman F6F Hellcat, the Vought F4U Corsair and the Republic P-47 Thunderbolt. 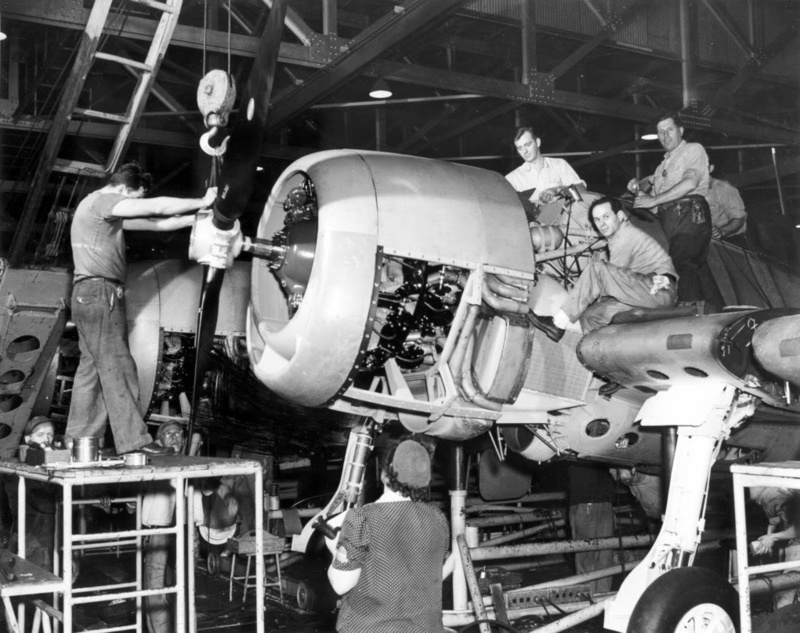 Production for all series totaled 125,334 engines. 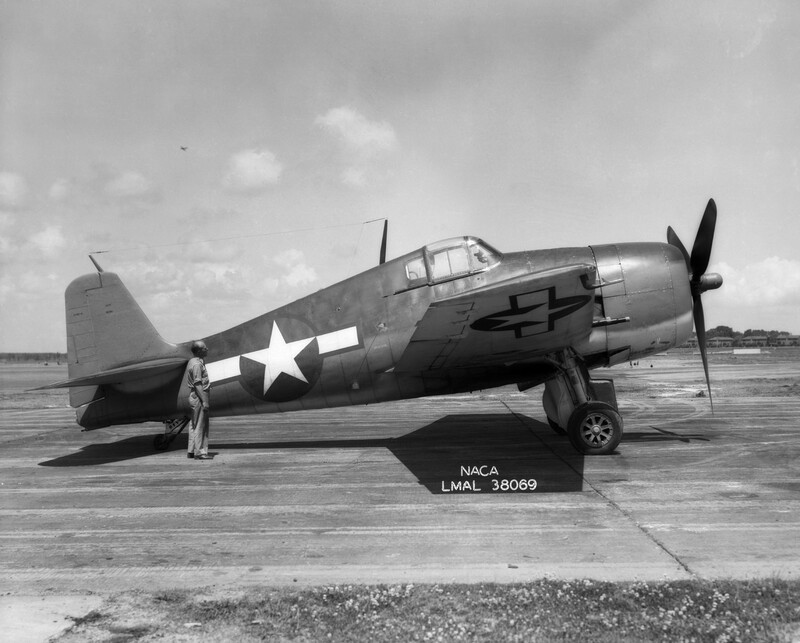 XF6F-1 prototype 26 Jun 1942 XF6F-4 prototype 1944 ca. 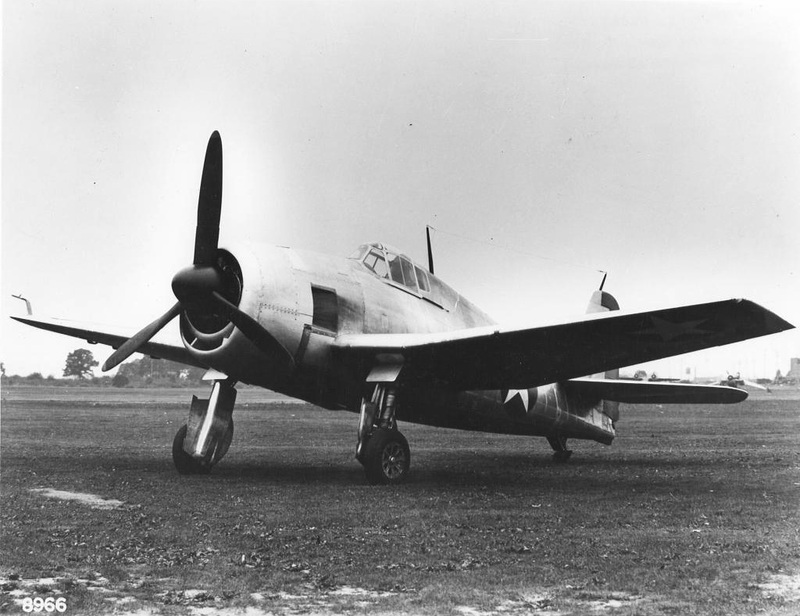 XF6F-1 First prototype, powered by a two-stage 1,600 hp (1,500 kW) Wright R-2600-10 Cyclone 14 radial piston engine. 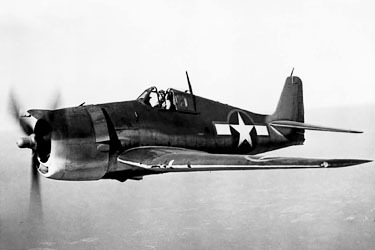 XF6F-2 The first XF6F-1 prototype revised and fitted with a turbocharged Wright R-2600-16 Cyclone radial piston engine. 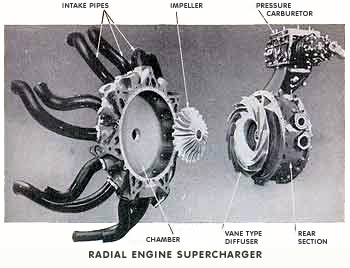 R-2600 replaced by turbo-charged R-2800-21. 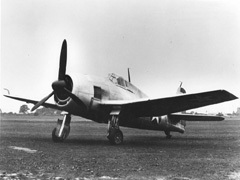 XF6F-3 Second prototype fitted with a two-stage supercharged 2,000 hp (1,500 kW) Pratt & Whitney R-2800-10 Double Wasp radial piston engine. 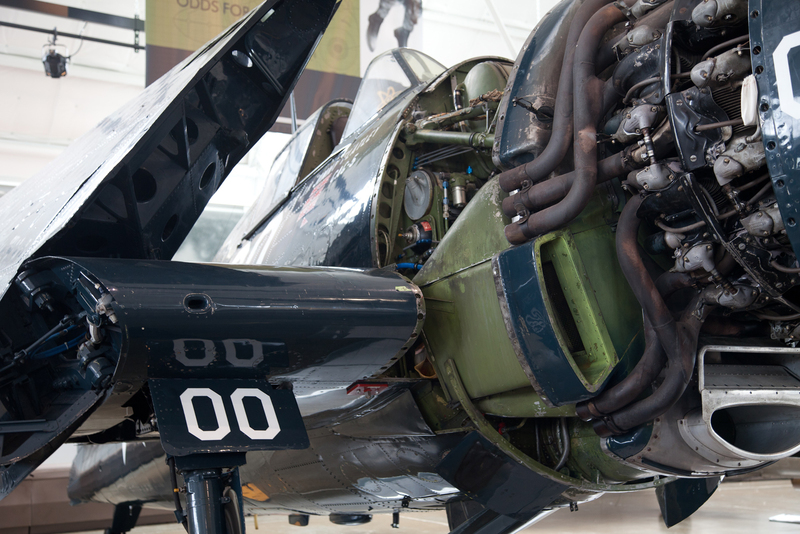 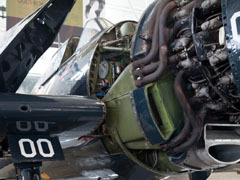 XF6F-4 One F6F-3 fitted with a two-speed turbocharged 2,100 hp (1,567 kW) Pratt & Whitney R-2800-27 Double Wasp radial piston engine. 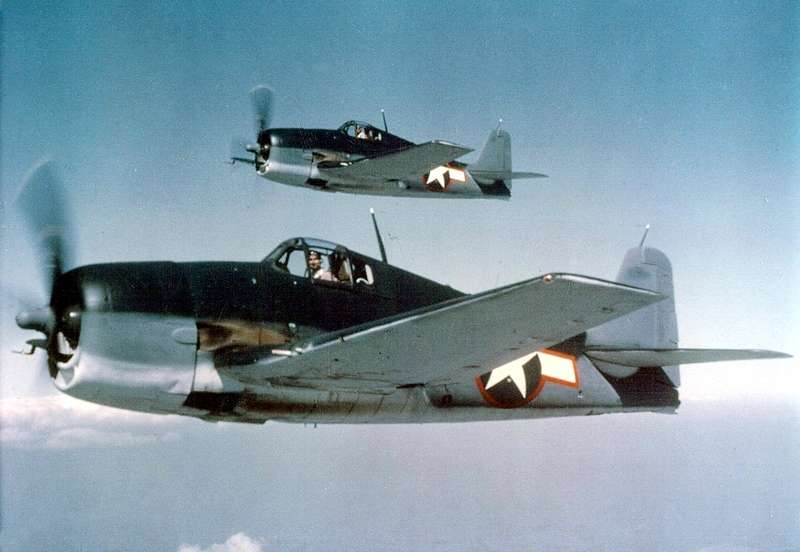 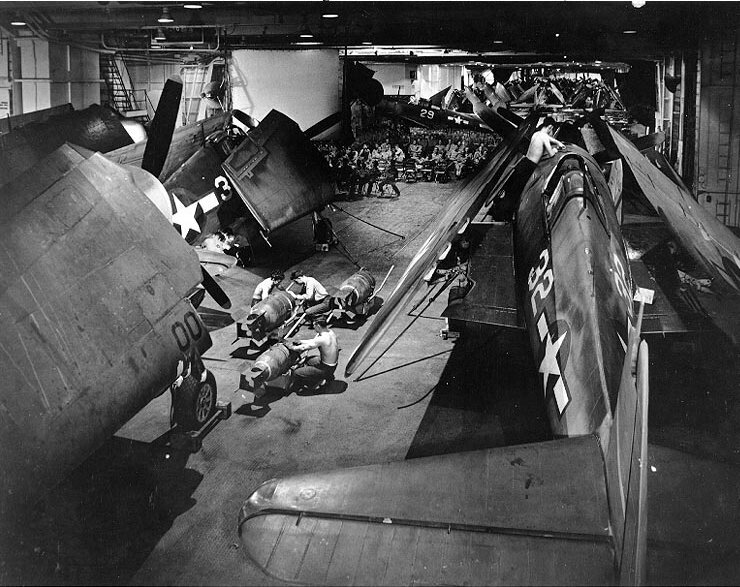 XF6F-6 Two F6F-5s that were fitted with the 2,100 hp (1,566 kW) Pratt & Whitney R-2800-18W radial piston engine, and four-bladed propellers. 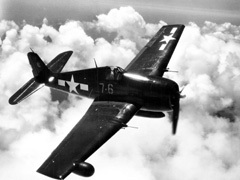 F6F-3E Night fighter version, equipped with an AN/APS-4 radar in a fairing on the starboard outer wing. 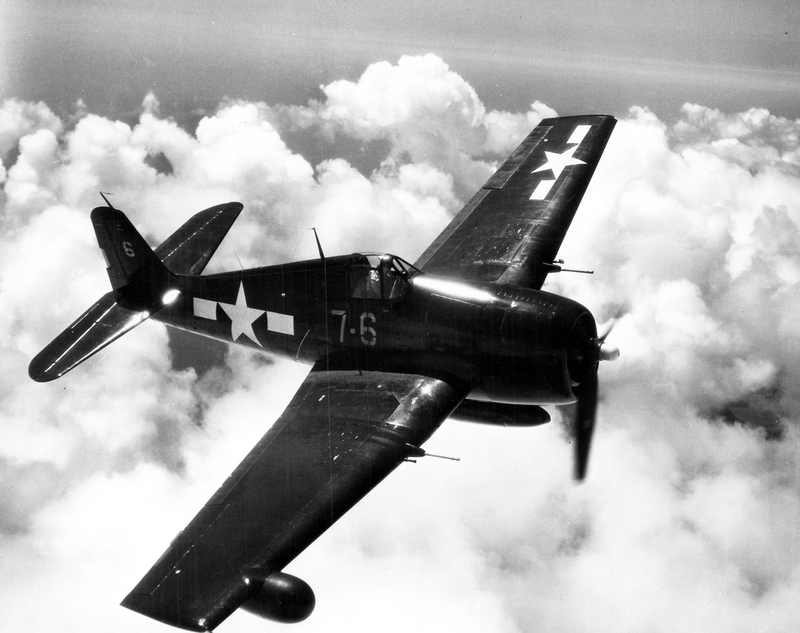 F6F-3N Another night fighter version, equipped with a newer AN/APS-6 radar in a fairing on the starboard outer wing. 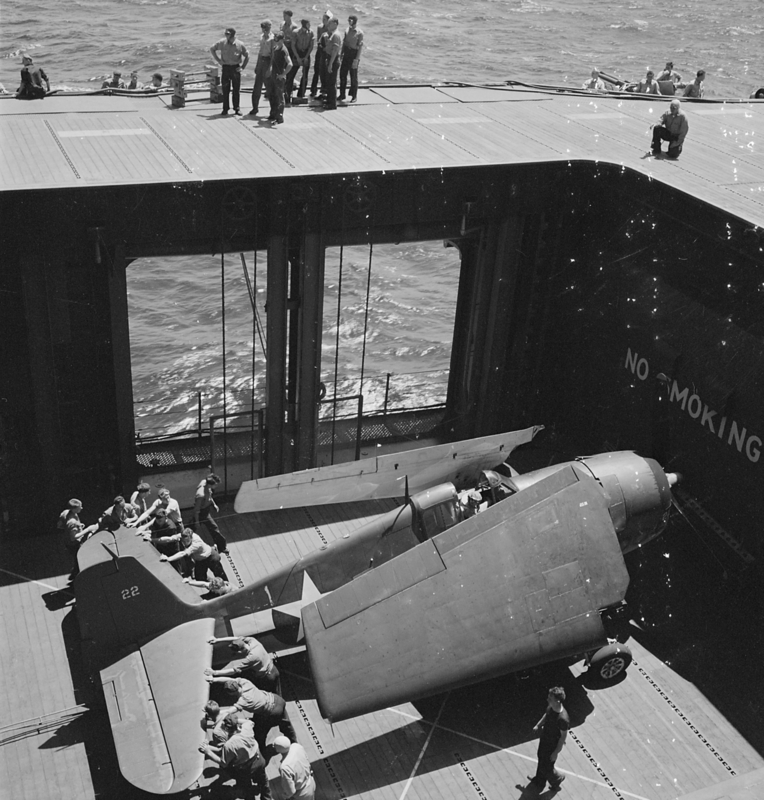 F6F-5K A number of F6F-5s and F6F-5Ns were converted into radio-controlled target drones. 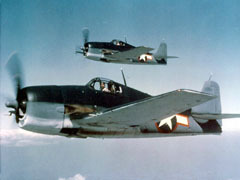 F6F-5P Small numbers of F6F-5s were converted into photo-reconnaissance aircraft, with the camera equipment being fitted in the rear fuselage. 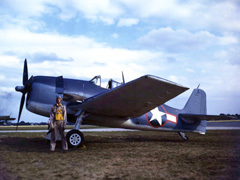 Hellcat FR Mk II This designation was given to British Hellcats fitted with camera equipment. 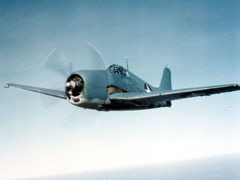 FV-1 Proposed designation for Hellcats to be built by Canadian Vickers; cancelled before any built.